Grammy winning singer/songwriter Terry Steele’s career has crossed musical boundaries and international borders. His songs have sold millions of copies and have touched the heart and soul of millions of people around the world. 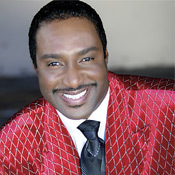 Terry has written for or collaborated with megastar artists such as Whitney Houston, Dionne Warwick, Patti Labelle, Stevie Wonder, Diana Ross, The Spinners, Barry White, The Pointer Sisters, Arif Mardin, David Kershenbaum, George Duke and saxophonist Richard Elliott among many others. As the principal writer of the blockbuster hit, “Here And Now,” Terry garnered a Grammy nomination for “Best Rhythm & Blues Song” in 1990 and in that same year his composition won Luther Vandross his then first Grammy in the “Best R&B Male Vocal Performance”category.